Sam Heughan has reached worldwide fame in his role as Jamie Fraser in the hit drama Outlander. 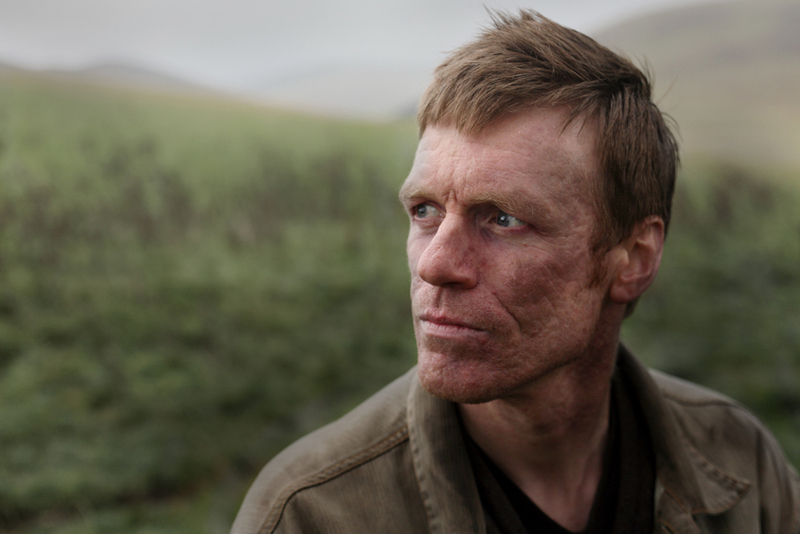 To add to his constantly growing list of achievements, the Scottish actor was recently named the 2015 Sci-Fi Champion by Radio Times. 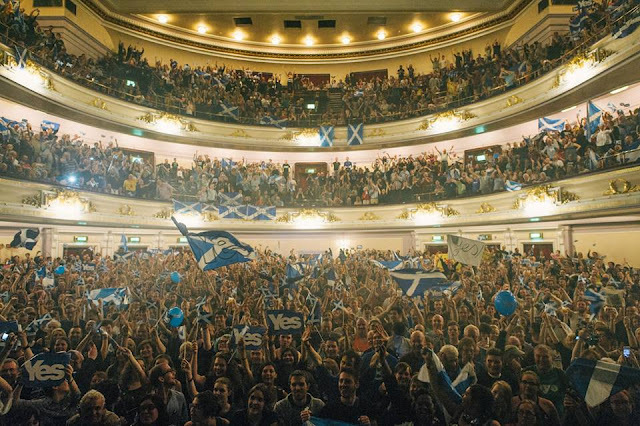 In light of his winnings, Heughan credited his enormously supportive fan base for voting for him during the competition. 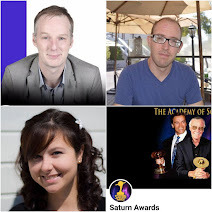 In order to win the award, Heughan had to overcome a very competitive field, which included the likes of Peter Capaldi (Doctor Who), Lana Parrilla (Once Upon A Time), Colin O’Donoghue (Once Upon A Time), and Eliza Taylor-Cotter (The 100’s). From here, Sam Heughan will have to compete against all the other genre victors to see who will take home the top spot in the Champion of Champions round. With all the Outlander fans that are out there, he should stand a fairly good chance at winning it all. Speaking of the hit show, Outlander is currently filming for its second season. 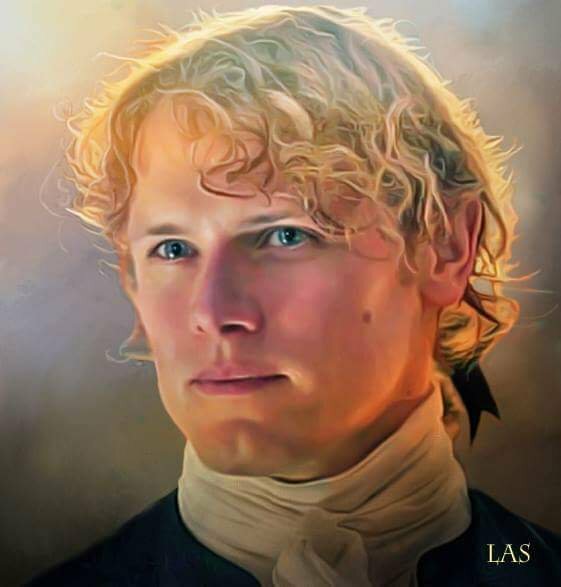 In fact, according to Scotland Now, Heughan was recently seen by fans in Glasgow during an intense scene involving Jamie and Black Jack Randall in the upcoming season. The scene included a fight between the two characters and follows what was a series of dramatic events between Jaimie and Black Jack in the first season. The new season of Outlander is an adaptation of Diana Gabaldon’s second book in the series titled Dragonfly in Amber. While the first season focused on events that occurred in Scotland, the new season will see Jamie and Claire (Caitriona Balfe) make their way to Paris, France to attempt to change history and prevent the Jacobite rebellion. 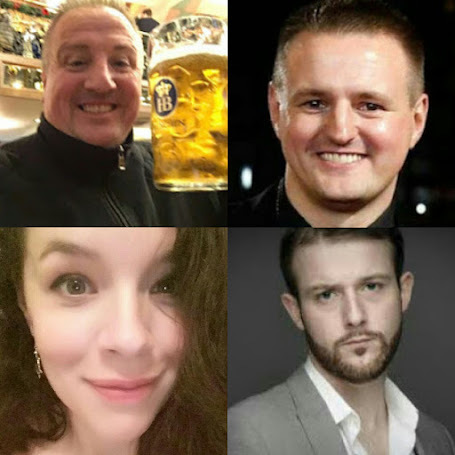 As production for the new season continues in Glasgow, the crew will also be travelling to Perthshire, Fife, Edinburgh, and West Lothian to round out this round of filming. 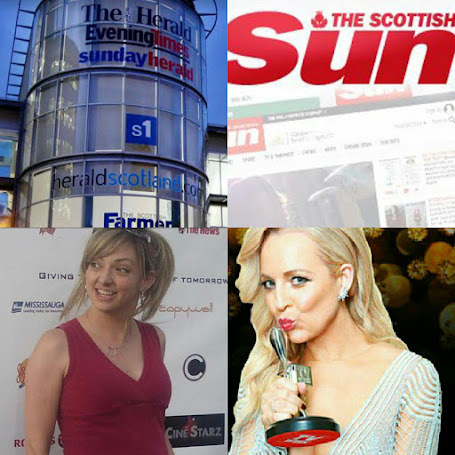 With the series filming in different locations throughout Scotland, The Daily Record notes that tourism has jumped considerably in the region. Apparently, the area has attract a record amount of American tourists ever since the first season premiered in the United States. Sam Heughan and Caitriona Balfe are currently filming Season 2 of Outlander, but an official release date has not been announced. Most of you have probably heard that I’m writing a script for one of the episodes of Season Two for the Outlander_Starz TV series. This is new and interesting—I’ve written comic book scripts for Walt Disney (waaaay back in the late 70’s) and I’ve written the script for a graphic novel (THE EXILE—for those of you who haven’t encountered it, it tells the story of the first third of OUTLANDER in graphic novel format—from Jamie’s and Murtagh’s point of view)—but I’ve never done a script for TV or movie before. Now, I have _read_ a few of these. During the period when the books were under option to various producers who wanted to make a two-hour movie of OUTLANDER (something that is flat-out impossible to do, but many valiant attempts were made), I saw several movie scripts, most of them written by very reputable screenwriters. These were each uniquely horrible, but instructive. When we agreed that I’d write a script, and Ron chose which one (it’s episode 211 – the eleventh out of thirteen episodes in Season Two), the next thing was for me to come to the Writers Room in Pasadena, and work out the basic flow of the story with Ron, Maril, and some of the other writers. Some of you will have seen photos of the Writer’s Room in its pristine state: comfortable couches facing two walls of magnetic white-board. When in action, the white-board is covered with erasable magnetic sheets, each containing notes on a scene, scene-let, or transition. This is where a script starts to take shape. Now prior to this, the script/book has been “broken”—literally. The original book has been taken apart, scene by scene, and all the lines of original dialogue stripped out and listed, so the writers can use as much as possible of the original language, even though it may sometimes occur in a different context. The Writers Room collectively then sorts through all these pieces, and reassembles them (roughly) into however-many episodes the season has. Given that each episode is roughly 57 minutes, _and_ that each episode has to have its own dramatic arc (you can’t have an entire episode of exposition, whereas you _can_ do whole chapters of it in a novel. I don’t recommend that you ¬_do_ that, by the way—but you _can_), the book material is not going to fit neatly and contiguously. Ergo, the chronology of the story will be roughly the same: the events that take place in Paris obviously precede the events of the Rising in Scotland, and Jamie’s friendship with Charles Stuart naturally has to come before Claire treats the monkey bite on the Prince’s hand, and Jamie’s duel doesn’t take place before he meets the man he’s going to challenge. BUT…smaller pieces of the plot that aren’t necessarily linear may be moved, or flexed a little, or even separated into still smaller pieces that can be included in separate places, in order to achieve an interesting, coherent and more or less self-contained episode. AND in service of this goal, small new pieces and lines may need to be created to blend and support the original pieces in their new configuration. This is why I was telling people (in response to pre-Ep 15/16 hysteria) to put down the book and enjoy the show. 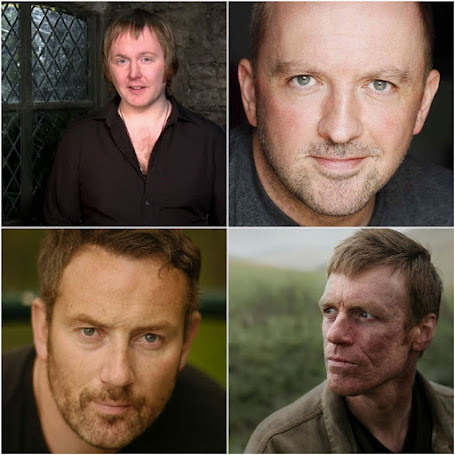 They aren’t gonna be exactly the same (for the reasons described above)—but with luck, goodwill, determination and talent (all of which the Outlander production team have in spades), the result will indeed be recognizably “Outlander”—and sometimes perhaps even an enchantingly novel Outlander. So I went and spent a very entertaining day in the Writers Room. The script had already been “broken,” so we knew how much material would be included in Episode 211, but not how it might be arranged, or what might or could be tweaked or added to give an exciting, coherent structure. The rough layout for Episodes 210 and 212 were also on the board, on either side of 211, along with a very rough notion of 213. (Yes, I know how it ends. No, I’m not going to tell you. It will be fine. Don’t worry.) I could therefore see how some elements of what I was handling would look coming out of 210, and _should_ look, going into 212. What followed was a mass mental jigsaw puzzle, with everybody moving pieces, suggesting new things, arguing about them, vetoing this, approving that, and fitting everything together. The writers were all doing this en masse on the couches, while Richard, the writers’ assistant, and Mike, the script manager, were on Aero chairs at the back of the room with their laptops, taking down everything we said and the conclusions we came to—these being the “room notes,” which were forwarded to me afterward. OK, the next step in doing a script is for the writer to do an outline of his or her episode, roughing out and expanding the material from the room notes, adding whatever small creative things occur during the process that likely won’t disrupt the agreed-on Big Picture. I’d seen a lot of script outlines from Season One (and several from Season Two), and frankly, this is Not Difficult. It took me three days of dilatory work (meaning I was doing other stuff at the same time, not that I wasn’t paying attention) to produce this. An outline runs 10-11 pages, and just recounts the linear run of the story, noting occasional specific lines of dialogue or setups that may be important. The outline went to Ron and Maril, and I got back Ron’s notes on it, which were very brief, and mostly to do with filming logistics—as in, we couldn’t have a full-scale ambush with twenty soldiers and thirty Highlanders, but we could do something like the opening scenes of Season One right after Claire goes back, suggesting such an ambush while using only a few actors. Anyway, the Studio/Network notes were minor enough that Ron told me to “go to script,” rather than re-drafting the outline, and so I did. Now, let me digress here to note that I know a lot of writers who work linearly, and who work from outlines, and some who—finding the scatter-shot methods network thinkers use to be confusing—have latterly taken up the outline method. Everyone who uses outlines insists that having an outline makes drafting the manuscript much easier. They’re right about that; it ¬¬_was_ easy. Much, much less interesting than putting the pieces together as you invent them <g>, but certainly easy enough—and I did get to make up the dialogue and insert entertaining (well, to me, at least) bits of byplay and business. Frankly, the most difficult part of it all was the formatting software—FinalDraft 9—and that wasn’t really hard; just a matter of familiarizing myself with it. (Well, that, and its Really Annoying scrolling, which never worked smoothly. Don’t know if it was FD9 or something I was doing, but it would hit the bottom of a page as I was typing, and not scroll up into a blank space so I could continue on the next page. I’d have to fiddle with the cursor control, the PgDn/Up, and the End keys in various combinations every time I needed to change pages or go back and forth to any degree.) I don’t know (yet) how to do fancy things like format the opening title page, but I depend on the kindness of Richard and Mike to explain that one to me. So—the script is done. But—as with anything involving writing, and especially anything involving television—that’s only the beginning. First Ron and Maril will read the script and give me any notes they have. Depending on number and complexity, I may redo the script to address those or just add tweaks here and there. Once Ron’s satisfied with it, it goes—once more—to Sony and Starz, who both get to make notes, which may require various fixes (or not so many, if we’re lucky. Who knows?). The script _might_ go through three, four, five iterations before it becomes a “Production” script. But that’s not the end of it! All kinds of issues arise, before and during filming, that require changes to a script. Many of these are very minor, a few might involve ditching multiple pages and inserting a whole new scene or set of scenes. And above all—it depends on how the script “plays”. Can the actors do the lines without repeatedly cracking up? (I’ve seen a couple of scenes where they couldn’t. 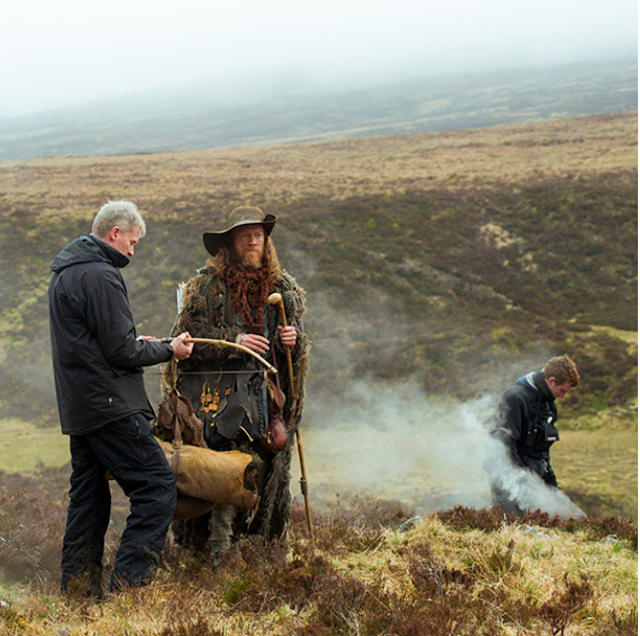 In one such series of takes, after the fourth try ended in giggles, Sam Heughan is saying, ‘This is never gonna work,” and you can hear the director saying firmly in the background, “Yes, it is!” (It did, too, but it took a while. Sometimes persistence will do it, and sometimes the writer (or the actor, or the director) changes the line.) Is the scene physically awkward in some way that only becomes apparent when the actors block it? Does it run too long? Is some speech badly phrased, so it sounds stilted? Does the action need to be re-arranged in order to accommodate camera angles or scenery? 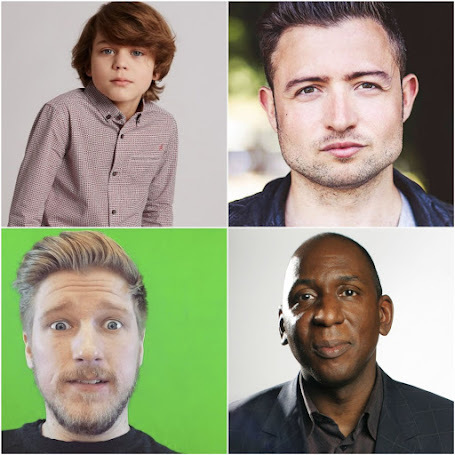 Do the actors and/or the director _like_ the script, or do they feel strongly that this or that isn’t working? All these sorts of things have to be fixed on the fly, as it were—which is, I assume, why the writer needs to be on set while his or her script is being filmed. I will say that I’ve seen seven or eight iterations of a script done _after_ the ‘Production” version. So far, it’s been a fascinating process, and I’m grateful for the opportunity to do it. I’ll let you know what happens next! For composer Bear McCreary, scoring the hit TV series "Outlander" presented an opportunity to do something musically he'd always wanted to do. 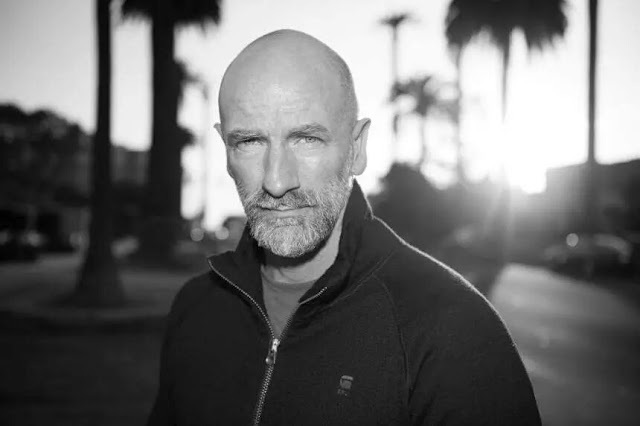 "I always was looking for an excuse to bring bagpipes into my own scores when I became a composer," he says in our exclusive video interview (watch it below). 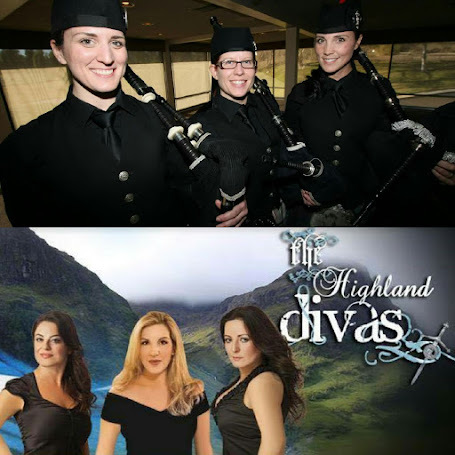 "I grew up adoring Scottish folk music ... I was so immersed in this culture." He had previously incorporated bagpipes into "Battlestar Galatica," co-created by Ronald D. Moore, yet found there wasn't a place for the signature sound in subsequent projects. 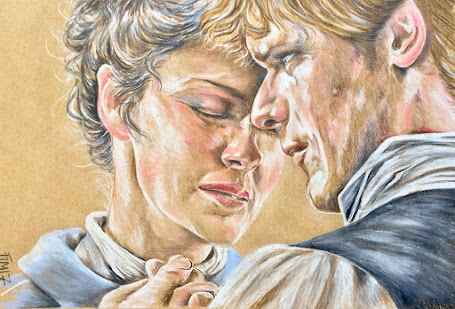 Moore went on to adaptDiana Gabaldon's "Outlander" book series for the small screen, and according to McCreary, "When I realized he was doing this new show that took place in the Scotland of the Jacobite Uprising, which was right in the sweet-spot of the kind of music I adored from that era, I realized we could do something really cool with this." 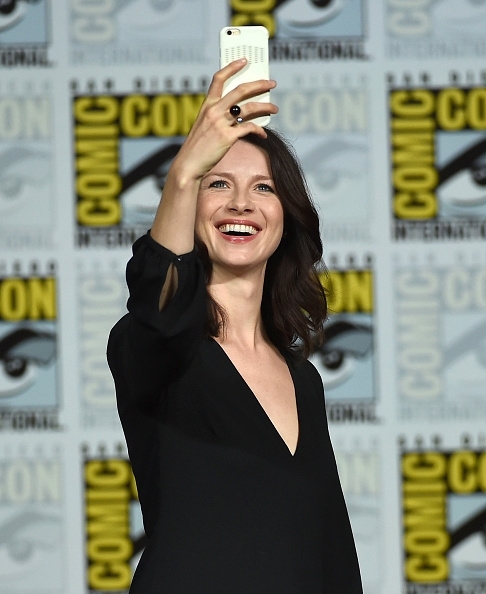 "Outlander" stars Caitriona Balfe as Claire Randall, a British combat nurse in World War II who finds herself transported to Scotland in 1743, tearing her between the love of her husband Frank (Tobias Menzies), a straight-laced officer, and the chivalrous, romantic young warrior Jamie Fraser (Sam Heughan). "When we think about the tropes of time travel stories,"says McCreary, "they almost always start in the present and move to the past or the future. The thing that makes 'Outlander' tricky is that it starts in the past and then goes farther back into the past ... So I needed to help create this feeling of the 1940s for the opening of the show, and then separate that from the 1740s for the bulk of the show." He continues, "When we get into Scotland in the 1740s ... the score gets very folky, and you hear bagpipes and penny whistle and fiddle, and everything's kind of scratchy and raw. So there's a separation not only in time but in culture ... The music takes on a very different character." Will "Outlander" bring McCreary statuette number two? 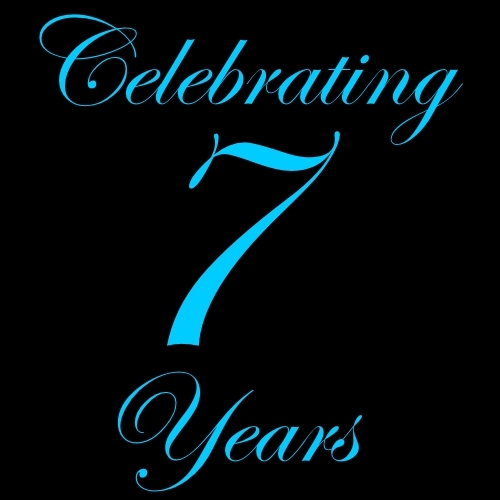 Our OUTLANDER blog inspiration has just celebrated its 7th Anniversary. 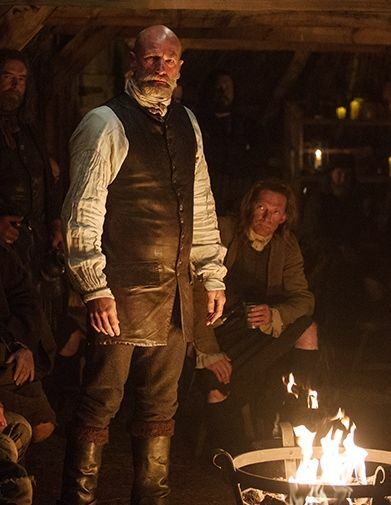 no Sam Heughan face to stick on Jamie Fraser as we wrote our daily posts, no MOBY material to tell us what Claire was up to this time (no spoilers!). One of the top things on our OUTLANDER bucket list was, at some point, to ask for an interview with Karen Henry. Fortunately for all of us, she answered the very same questions that we wanted to ask in the announcement she posted on of the 7th anniversary of Outlandish Observations (see below). 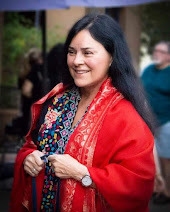 If it were not for the early original blogs like hers, we may not have known all the details of Diana Gabaldon's insights, ideas, and appearances, or about the show's much-anticipated cast and production information. 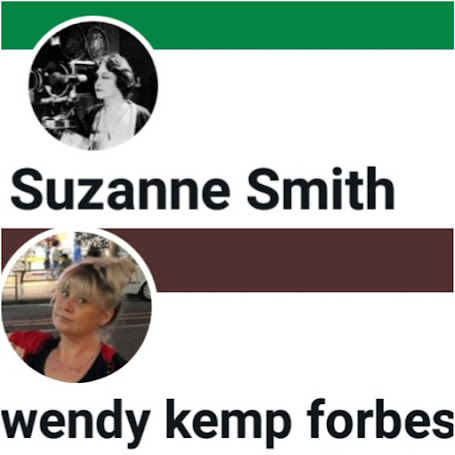 It makes us wonder if, without people like Karen, the popularity of OUTLANDER would be what it is today, and if others like us would have been inspired to create our own blogs about OUTLANDER. And what about the next 7 years? If we're lucky, we'll be in our 7th season of the Starz original series, book 9 will have been read at least 3 times by all of us crazy fans and we'll all be discussing what's to come in book 10. A lot. Congratulations Karen. You are an inspiration to us all. Truly! Seven years ago today, I started Outlandish Observations! Special thanks to all of my followers on the Outlandish Observations Facebook page! Last year at this time I had 5,455 followers on Facebook. Today that number is 7,063, an increase of 29.5%! I'm amazed and delighted that so many new people have found my site in recent months. 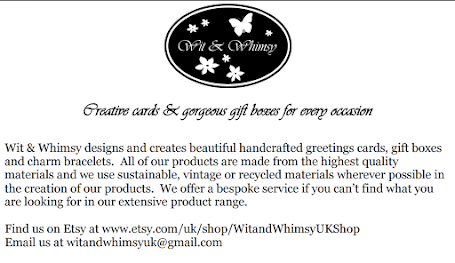 Welcome, and I hope you take some time to look around and see what else is available here. 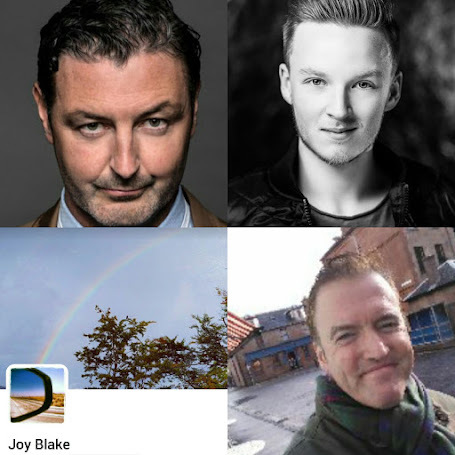 Outlandish Observations was one of the first successful OUTLANDER-related blogs. These days there are dozens and dozens of fan-sites, Facebook groups, and so on. The more the merrier, as far as I'm concerned! 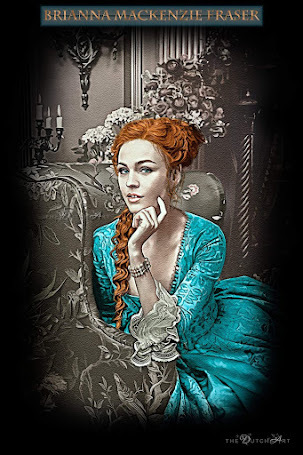 <g> I'm proud to be a part of such a thriving, creative, and enthusiastic worldwide community of fans, united in our passion for these books and characters and this amazing story Diana Gabaldon has created. Many, many thanks to all of you who've visited Outlandish Observationsover the past seven years. It's been an amazing journey, and I'm so glad you've come along for the ride. Check out the entire blog here. Oct. 27: THE OUTLANDISH COMPANION, VOL. TWO! "On October 27, 2015, THE OUTLANDISH COMPANION, VOLUME TWO (aka "OC II") will be released in the U.S.A.! 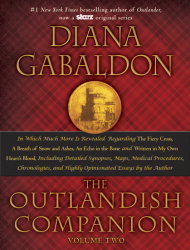 As the second volume of THE OUTLANDISH COMPANION, VOLUME ONE, this new book will reveal details of how I wrote the second eight major novels in the OUTLANDER series: THE FIERY CROSS, A BREATH OF SNOW AND ASHES, AN ECHO IN THE BONE, and WRITTEN IN MY OWN HEART’S BLOOD. More information. Though I will not be going on a book tour for OC II, the Poisoned Pen bookstore will host a live web interview with me in October (time and date to be announced) to discuss the new book. Anyone on the globe may tune in! (Details will be posted when available.) The Pen also will have copies of OC II available that are signed by me." 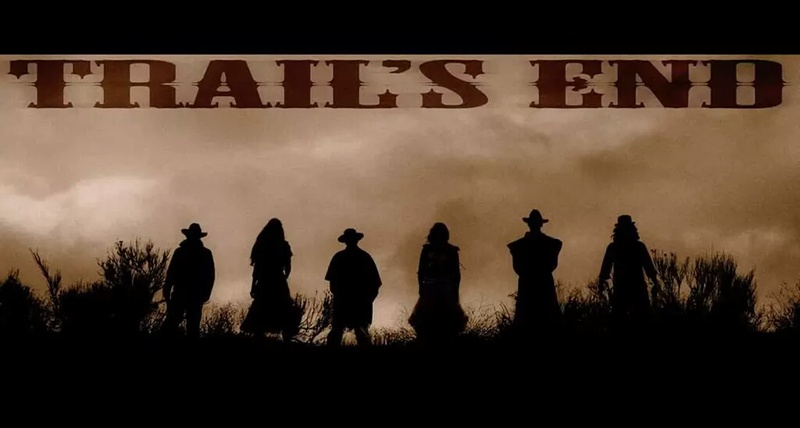 In the 1880's, a disbanded group of outlaws must reunite to go after a hidden treasure, while being hunted by one of their own. 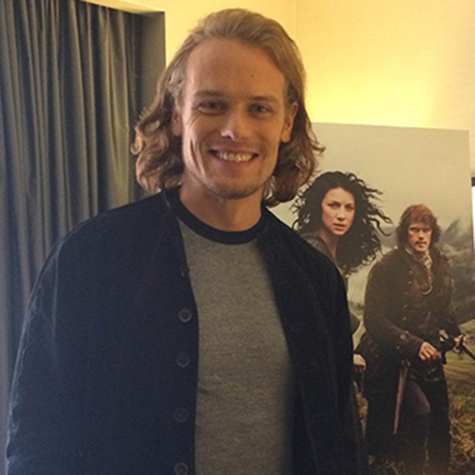 Exclusive: OUTLANDER'S SAM HEUGHAN TALKS SWASHBUCKLING, RED HAIR, AND BEING UNLUCKY IN LOVE. It’s easy to find locations featured on the hit drama series Outlander when you arrive in Glasgow, Scotland. 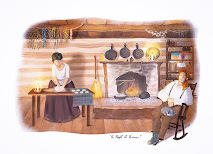 So much so that the Starz series has reportedly helped boost tourism by an estimated thirty percent as the global audience has come looking for the breath-taking locations featured in the story of time-travelling 1940s nurse Claire Randall (Caitriona Balfe) and 18th century Scottish clansman Jamie Fraser (Sam Heughan). Many popular tourist destinations have been borrowed for the show, from the majestic rural estate of Hopetoun House, which poses in a few episodes as the home of the Duke of Sandringham, to the 14thcentury Doune Castle, which becomes Leoch Castle, the home of Jamie’s uncle Colum MacKenzie and his clan. If it looks familiar, that’s probably because it was also used in the 1975 comedy classic Monty Python and the Holy Grail, although it’s unlikely that cast took their job promoting Scotland quite as seriously! Screen Gems has set two of the hottest stars on television for its feature film Oxford. Melissa Benoist, who’ll soon be starring as the title character in the CBS fall series Supergirl, will team with Sam Heughan, who plays the male lead role of Jamie Fraser on the Starz hit series Outlander.Oxford has a script by Allison Burnett, and Temple Hill’s Marty Bowen and Wyck Godfrey are producing. Soon after arriving at Oxford U, an American Rhodes Scholar student falls for an arrogant teaching assistant who is quietly fighting terminal cancer. When she finds out the reason he is so standoffish, they make the most of each day, traveling the world together. Aside from Supergirl, Benoist’s recent films have been The Longest Ride and Whiplash. Burnett previously scripted Underworld: Awakening for Screen Gems, as well as Gone, Fame and Untraceable. 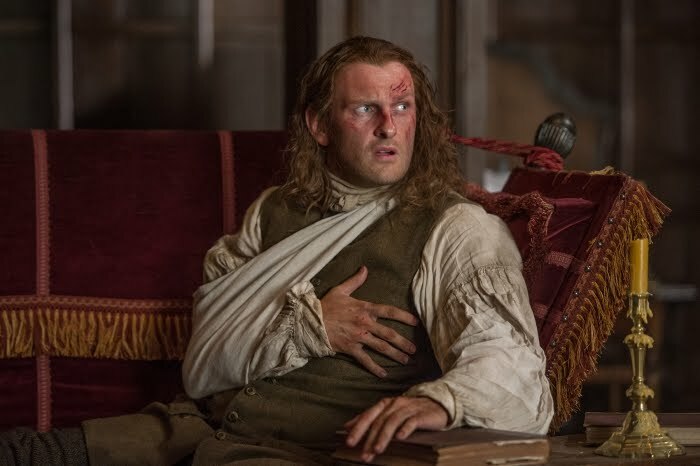 Heughan got a great deal of attention for his work in the final Outlanderepisodes, in which his swashbuckling character was raped by his nemesis. In a coincidence, the actor who played that other role, Tobias Menzies, also just signed on for a Screen Gems film as he will play a key role in Underworld: The Next Generation. 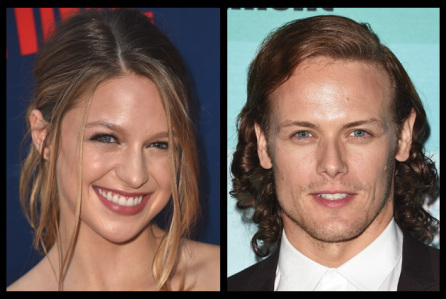 Benoist and Heughan are repped by UTA and Burnett by Paradigm. Heughan is repped by the UK by United Agents. 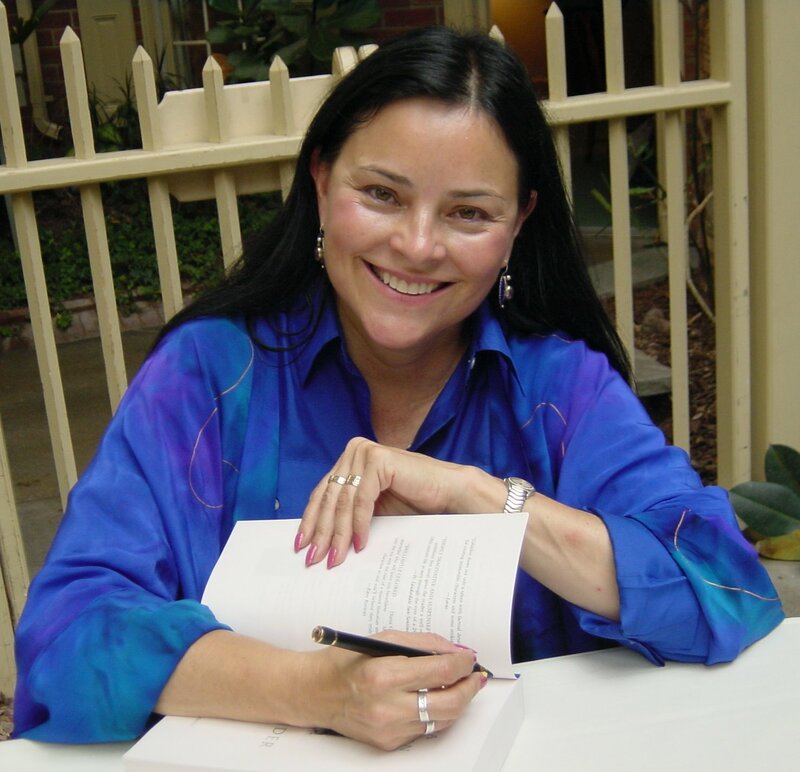 Outlander is well underway with production of its second season, and it seems as though author Diana Gabaldon is very pleased with how things are progressing. The author recently told Zap2it that she is particularly impressed with the script as the characters move on to Paris, France, in Season 2. 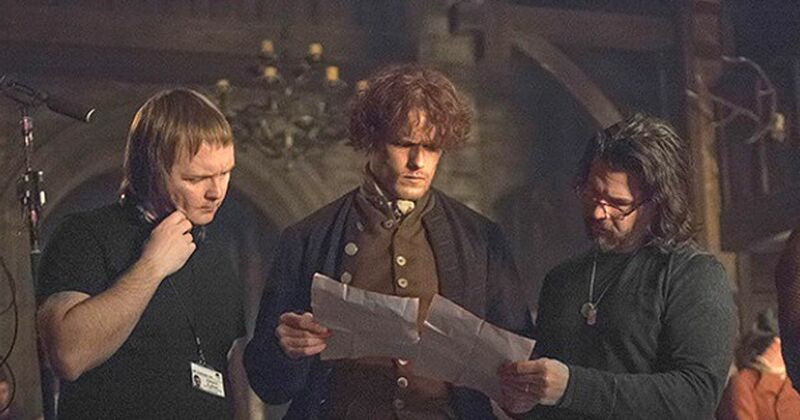 With the new season being adapted from Gabaldon’s second book in the series, titled Dragonfly in Amber, producer Ron Moore explained that dealing with the political games in Paris has been a challenge to adapt in the new season. 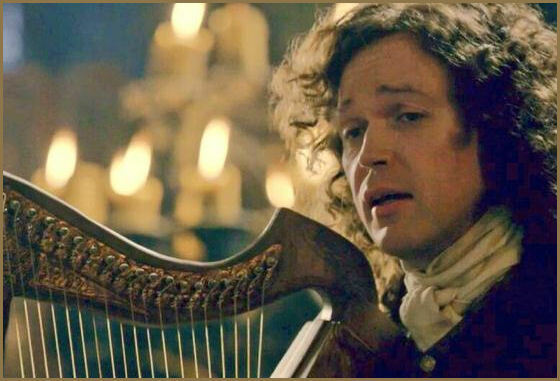 “The Paris section [of Dragonfly in Amber], the plot is not as clean and simple as the plot was in Book 1. 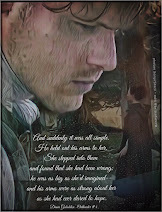 Book 1, for a big chunk of it, is Claire going back in time and trying to get home, and then she’s trying to find Jamie, and those are very clean narratives,” Moore stated in an interview with Deadline. Moore went on to reveal that, although the new season is nothing like the first, it will feature a number of surprising elements. Tobias Menzies in Broadcast - "Fifteen Minutes"
Set in New York in the heady days of Studio 54, in the late 1970s and early 80s, "FifteenMinutes" looks at the later period in Andy Warhol's life when he was painting portraits to commission and running 'Interview' magazine. 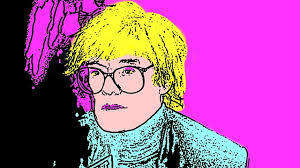 Young editor, Bob Colacello has the bright idea of hiring the ageing Truman Capote to do celebrity interviews. In exchange for his monthly column, Capote would be gifted a portrait. And so began one of the most complicated and explosive of collaborations. A BBC Scotland production directed by Gaynor Macfarlane. Several "Outlander" season 2 casting hinted of broader and tougher adventures for main characters Jamie (Sam Heughan) and Claire (Caitriona Balfe). The married couple will now head to Scotland and France but there is a bigger challenge for them. There's no more Black Jack Randall but the new obstacle is how to raise a child. 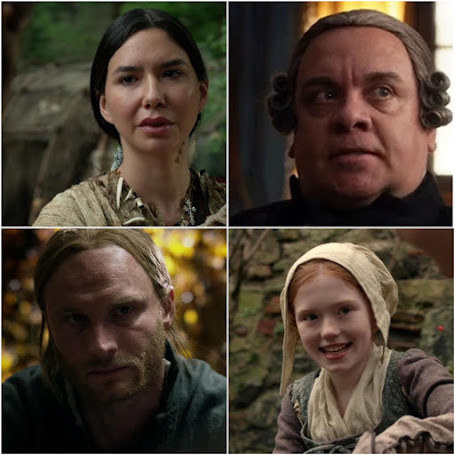 If the confirmed "Outlander" season 2 casting news is any indication, fans of the Diana Gabaldon book series where this show was based from can hope that it will be faithful to the material. Caitriona Balfe assured this in a recent interview. "I think there's definitely some scenes from Diana's books where the fans have already become - they're very important moments for them," the main "Outlander" season 2 cast said in an interview with MTV. "You kind of know when you're coming up to it, you're like, 'well this is a big moment in the book.'" "You can't really approach those in any different way than you do anything else," she continued. "I think if you start doing that then it's a disservice to the story as a whole, so you treat it all the same." "Outlander" season 2 will be about Jamie and Claire's journey into parenthood. This won't be easy for them. Not only they are stranger to the new place they chose to live in, both of them, never really had great childhood. "It changes everything," Caitriona told Access Hollywood. "When you kind of believe that something is impossible and then that changes... it brings up a lot of stuff about her own family and her past. 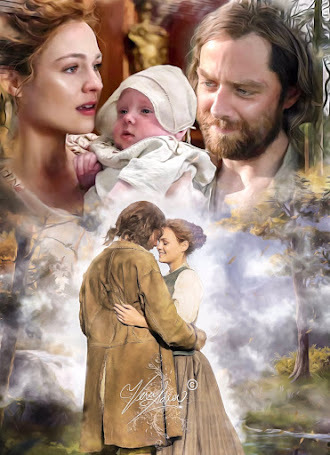 She lost her parents when she was 5, so she's never really had that kind of mother figure there to guide her, and I think it brings up a lot of that stuff for her, but it's something that brings Jamie and Claire really together, and it's a beautiful part of the story." 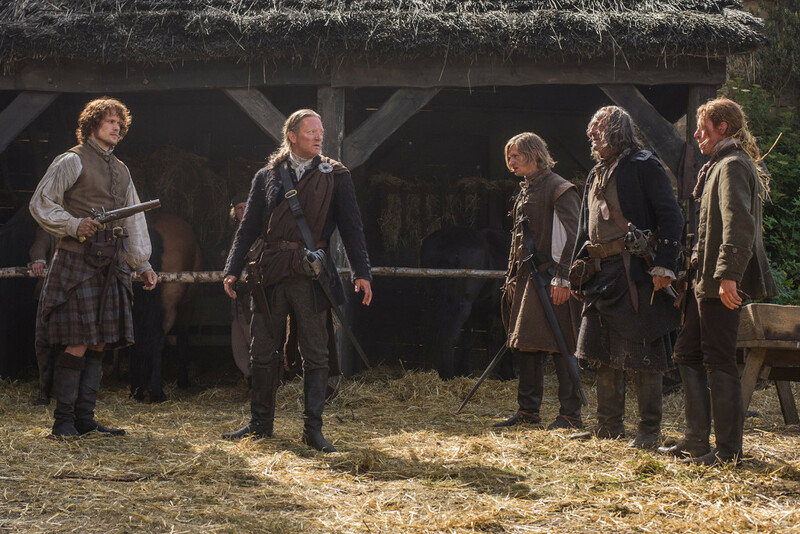 The second season is expected to premiere this fall. 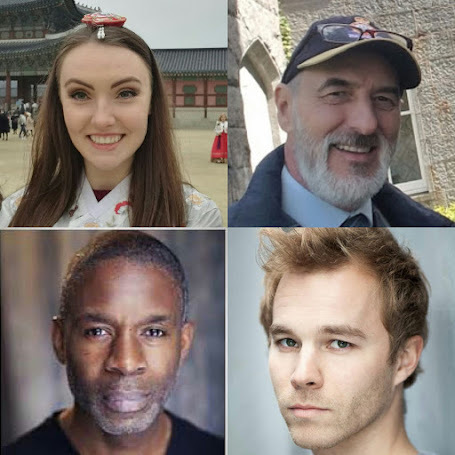 Among those confirmed in "Outlander" season 2 casting news are Rosie Day, Stanley Weber, Robert Cavanagh, and Margaux Chatelier. They were heading northwest. Roger had learned to steer by sun and stars, when he’d surveyed the boundary lines of Jamie’s land, years before, but it wasn’t a skill he’d needed much in Scotland. He thought they were near the edge of the land grant now; he thought he recalled this rocky outcropping. Granted, there were thousands of similar rock formations in western North Carolina, but something about this one rang a mental bell. “Aye, I do.” That was it; the whole hillside was a tumble of pale, huge boulders, unusual among the dark rock of the nearby ground—but more unusual for the vast tangle of wild grapevines that crawled over the boulders and climbed the sparse trees that sprouted among them. The grapes had long since ripened and gone, most of them scavenged by birds, insects, wolves, bears and anything else with a sweet tooth. Still, the faint perfume of raisins lay like a veil on the air and the bitter tang of the drying vines was sharp beneath it. The Newsletters which came out before and during the episodes, were really telling of the details that went into depicting all of the descriptions given by Diana in every chapter. 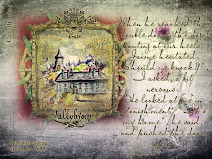 "Mrs. Baird’s was like a thousand other Highland bed-and-breakfast establishments in 1945; clean and quiet, with fading floral wallpaper, gleaming floors, and a coin-operated hot-water geyser in the lavatory". 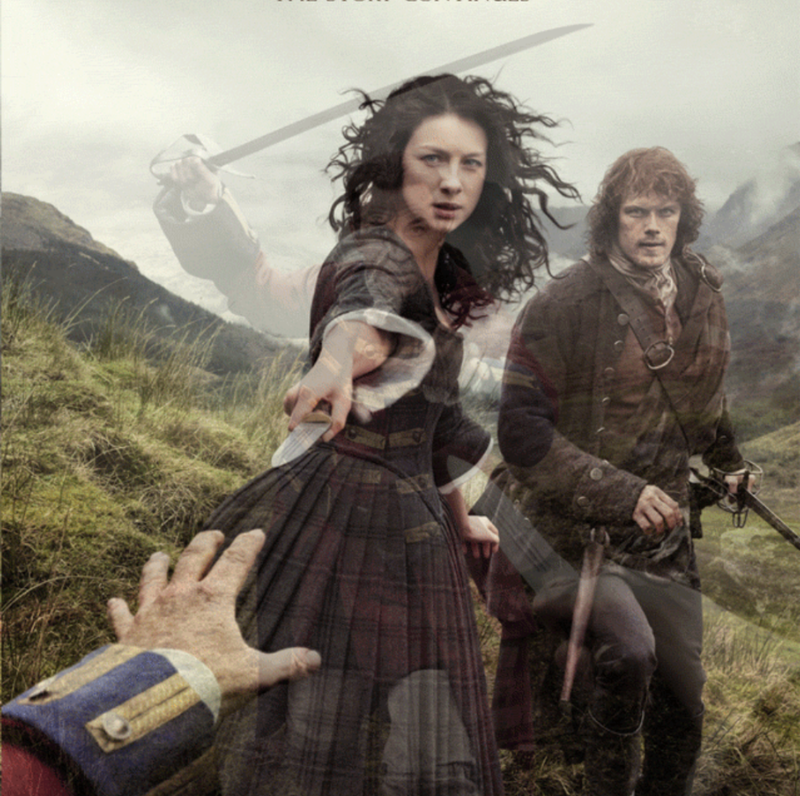 THE Outlander producer has teased fans with details about the second season of the hit show. 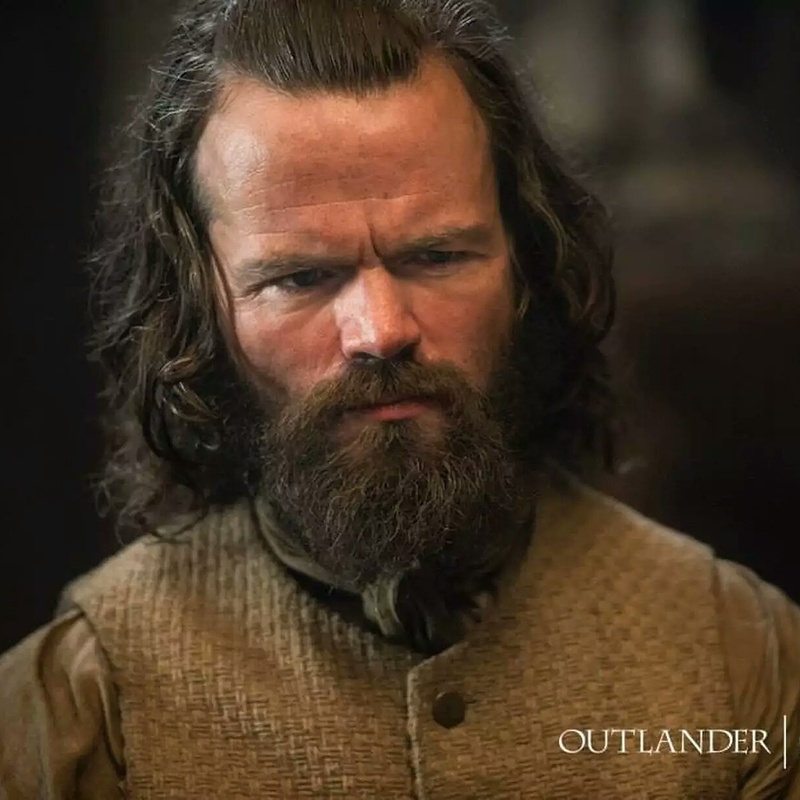 RON D. MOORE has confirmed the Brianna Randall will definitely appear in Outlander season two. In the second book by author Diana Gabaldon, called Dragonfly in Amber, Claire and Jamie Fraser flee Scotland for France to seek out Bonnie Prince Charlie. Gabaldon’s second book kicks off in the 1960s with Claire and her daughter Brianna visiting Reverend Wakefield's adopted son Roger in Scotland. 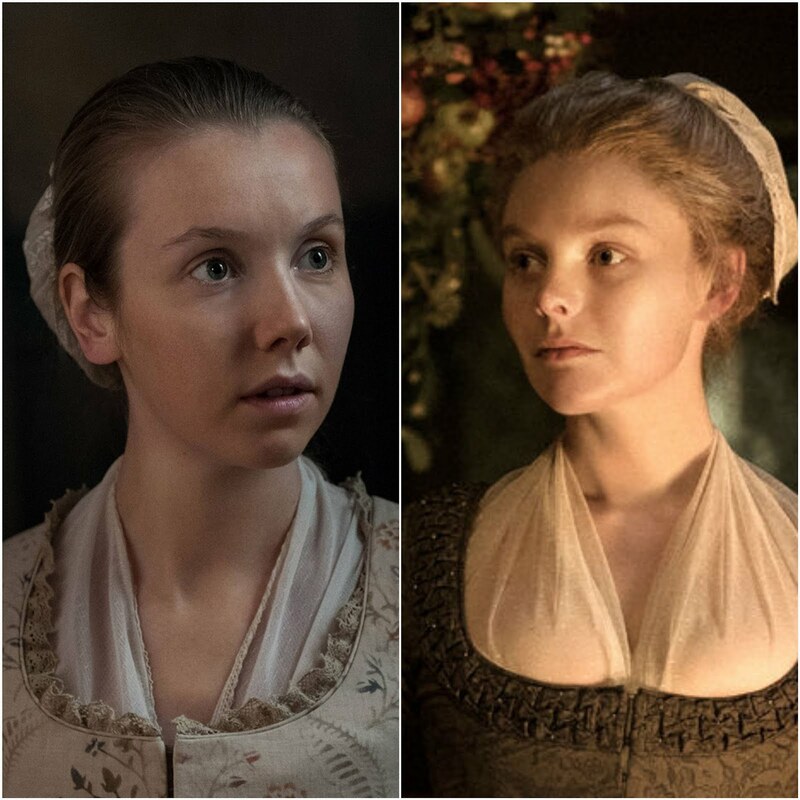 And Moore has revealed Brianna will definitely appear in the TV adaptation of Outlander. Outlander” TV series cast member Tobias Menzies has reportedly joined “Underworld: Next Generation.” The actor is said to be playing the role of new Lycan leader named Marius. Kate Beckinsale will be reprising her role as Selene in the movie. Deadline reports that Menzies will be playing a “major role” in the forthcoming movie. The new role is said to be “mysterious” and there are no additional details about the character. Lycans in the movie are werewolves who can take human form, unlike another category of werewolves in the film franchise. Lycans and the vampires in “Underworld” are shown to be in a state of war for centuries. Vampires had been using the werewolves as slaves to do their bidding in the ancient times, but due to certain circumstances, war broke out between the two groups. 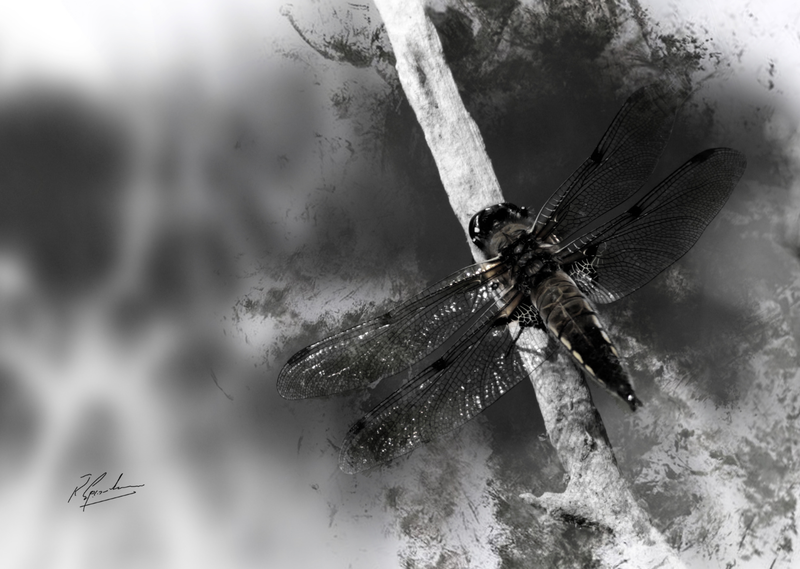 Menzies will now be seen as the new leader of the Lycans who will continue the war between the two mythical species. Menzies will be joined by Beckinsale and “Divergent” series star Theo James in the forthcoming movie. Beckinsale has already signed a deal to reprise her role in the film, according to a report by The Hollywood Reporter . The movie will be directed by Anna Foerster and the report notes that she will be the first woman to take on a directorial role in the movie franchise. The previous movies from the “Underworld” series have been directed by Mans Marlind, Bjorn Stein, Patrick Tatopoulos and Len Wiseman. 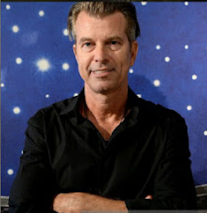 Wiseman directed the first two films in the franchise that were shown in 2003 and 2006. “Underworld: Next Generation” is slated to be released in October 2016. 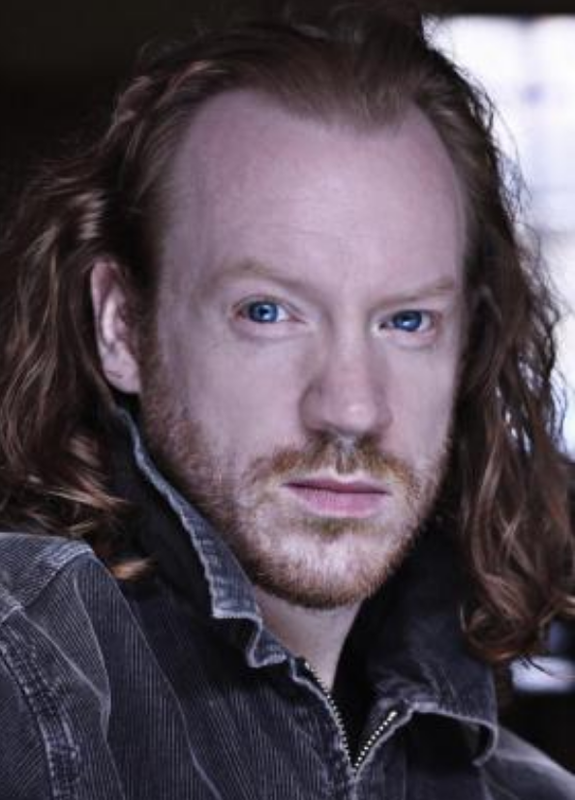 Menzies is currently busy filming the next season of the “Outlander” TV series and the producers of the show have reportedly allowed him to shoot simultaneously with the vampire movie. Thomas McPake, relationship manager at the Clydesdale bank and Colin Brown, managing director of Ingles Buchan. 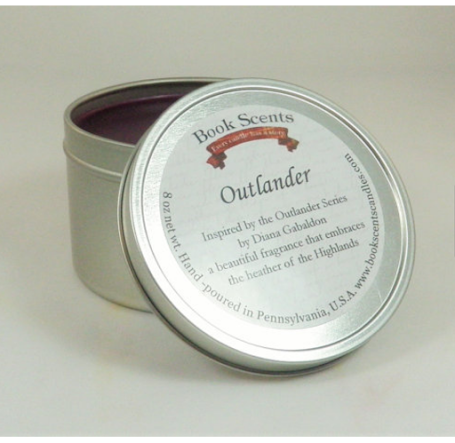 produce official merchandise inspired by the Outlander television series. Ingles Buchan is close to finishing its first weaving order for Canadian merchandise distribution business AbbyShot. 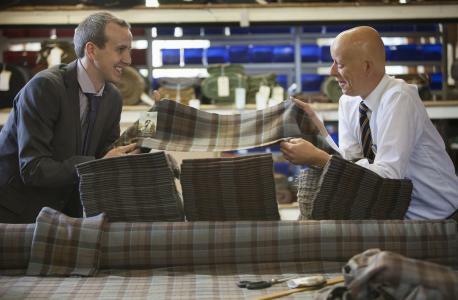 Glasgow based Ingles Buchan, which also owns the Anthony Haines Textiles business in Selkirk, had previously created hundreds of metres of tartan cloth which was subsequently used in the television show. 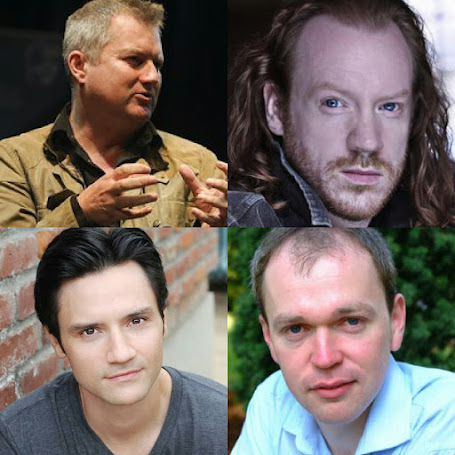 The programme is based on the Outlander series of novels by Diana Gabaldon. 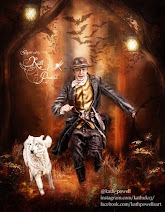 Those sees English nurse Claire Randall travelling back in time from Scotland in 1945 to 1743 where she meets Highlander Jamie Fraser. The Outlander television show, backed by Sony Pictures, has been shown on the Starz network in the US and is available on Amazon Prime in the UK. The lead roles are played by Caitriona Balfe and Sam Heughan. Ingles Buchan is being supported in the merchandise venture by a six-figure funding package from Clydesdale Bank. The goods, including hats, scarves and shawls, are being woven in Selkirk before the products are finished in Glasgow. They will then be sold across Canada and Europe. Ingles Buchan stated it is also working for United States distributor The Celtic Croft. Colin Brown, Ingles Buchan managing director, confirmed the business has added two staff in Glasgow to take its team to 14 there. Later this year the business will add a second apprentice in Selkirk to take employee numbers to 13 at that site. He said: “We’re thrilled at becoming a supplier of genuine Outlander tartan merchandise. Producing the range will be a real boost for our business and our plans to grow. Mr Brown described the initial boost in turnover as “six-figure plus” with the potential for further increases if the ranges sell well. He said: “There is no way of knowing how big this will be. "The books have sold 30 million copies but that doesn’t necessarily translate into sales [of merchandise]. 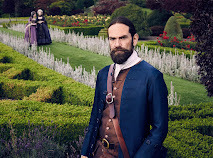 Ingles Buchan had already been fielding requests from Outlander fans about making tartan goods because of its association with the television production. 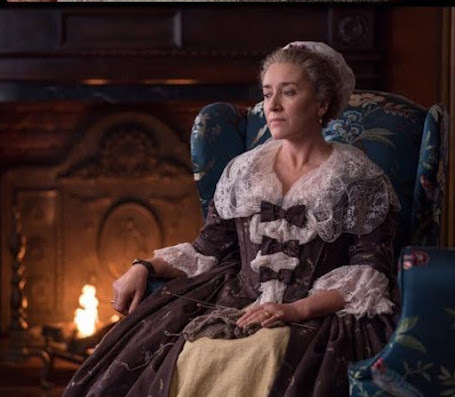 Producers were keen for the textiles used in the show, which is currently filming a second series, to have a traditional look. Mr Brown said the businesses Ingles Buchan is partnering with have proven track records in the merchandise arena and are regular visitors to events such as Comic Con. AbbyShot, based in Newfoundland, already sells Dr Who, Star Wars and superhero themed products. Bonnie Edgecombe Cook, president of AbbyShot, said: “AbbyShot is proud to be the provider of the official Outlander inspired and replica apparel. Ingles Buchan has created tartans for football teams such as Rangers, Celtic and Barcelona in the past. It also made a tartan to commemorate the Papal visit to Scotland in 2010. The business has been a customer of Clydesdale Bank for around 30 years. Deyrick Smith, Clydesdale Bank’s head of commercial and small business in Scotland, said: “We are proud to support Ingles Buchan, a strong and well managed business which is promoting Scotland’s textiles industry on a world stage thanks to its Outlander success. Mr Brown and business partner Kevin Nicoll took over Anthony Haines in February 2013. They already used the mill to source a number of Ingles Buchan products. The first Outlander novel was published in 1991 and Ms Gabaldon has published a further seven books in the series. The most recent one was last year's Written In My Own Heart's Blood. Much of the first series of the television adaptation was filmed in Scotland.